Never disrupt golfers while on course. Men – Shorts, slacks, collared shirts with sleeves (no denim or T-shirts). Mock T’s are acceptable. No more than four players allowed per group unless approved by a Golf Professional. All exceptions to this rule MUST be reported to the Starter/Ranger and the group will be informed that if there are any issues, they may have to break up into foursomes or less. Your ball must be easy to identify. Rental balls will all be numbered differently. If you bring your own ball, be sure it differs from others in the group. The ball must be played in a single movement. You are not allowed to push the ball with your foot. Wait to play until the ball has completely come to rest. It is not legal to stop your ball while still rolling. Play the ball from where it lies including sand bunkers, woods and weeds. If you have an unplayable lie, you should proceed as you would in golf with a one-stroke penalty, but PLACE your ball rather than drop it. If your ball interferes with another player’s ball, you must mark your ball by placing a flat object behind the ball. When replacing your ball, place in the same spot and lift your marker. The player farthest from the hole kicks first. 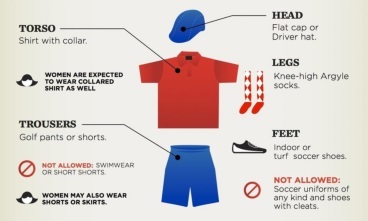 However, if not tournament play, please proceed safely with READY FOOT GOLF which means, kick when you are ready as long as you are not out in front of others in your group in an unsafe manner. Pace of Play Standard for 9 holes of FootGolf is two hours. Groups falling behind our pace of play standard may be asked to move forward to recapture their position on the course. State Law mandates that no alcoholic beverages may be brought on the premises of a licensed facility. Therefore, coolers and alcohol not purchased from Drumm Farm is not permitted on the course at any times and is subject to confiscation. As you know, FootGolf and Golf may at times be played concurrently on the Drumm Farm Executive Golf Course. Please respect the golfers.